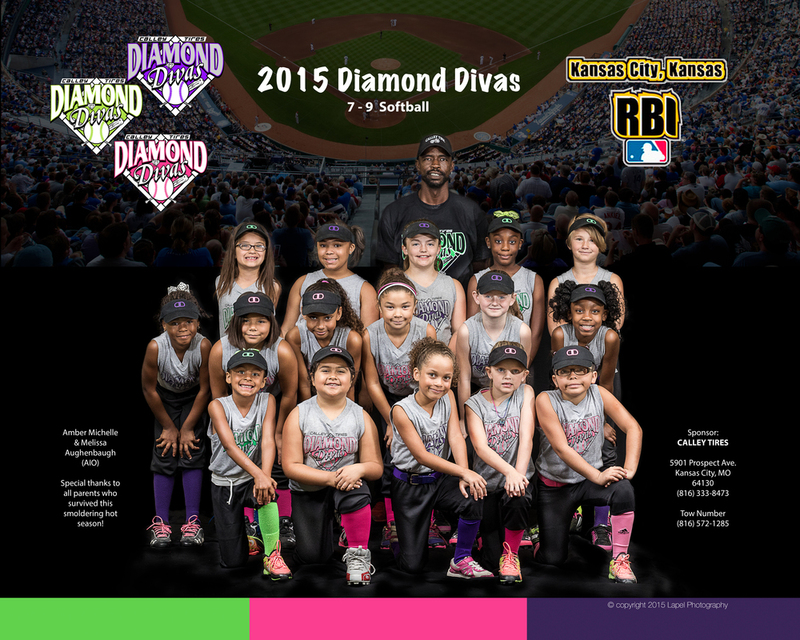 Being named official photographers of KCK RBI (currently Kansas RBI) baseball league for 2015 was a great honor, but it posed many challenges. The main challenge was time. There are over 1000 kids in the league. Team Photos, League events, Shooting Games, and the creation of the league Yearbook takes hours and hours of dedication. Deadlines had been numerous, and mostly broken. Some by the league, and some by us. We WILL be better. The one thing that was not compromised is the Lapel Photography quality. The league decided to go without coach or players names, and opted for real estate to allow for recognition of sponsors, dedications, acknowledgements, or other messaging the team wanted to convey. Our league is very culturally diverse, and this presents a very challenging environment for photographers. Every attempt was made to make all of our skin tones blend, just as they all blended so well on the field. Capping off the year's design was a simple but needed "color bar". This accent placed at the bottom of each team photo capped off any negative space generated by the solid black background. It gives the photo "a place to go" when the team elects to not have sponsors listed, acknowledgements, etc. 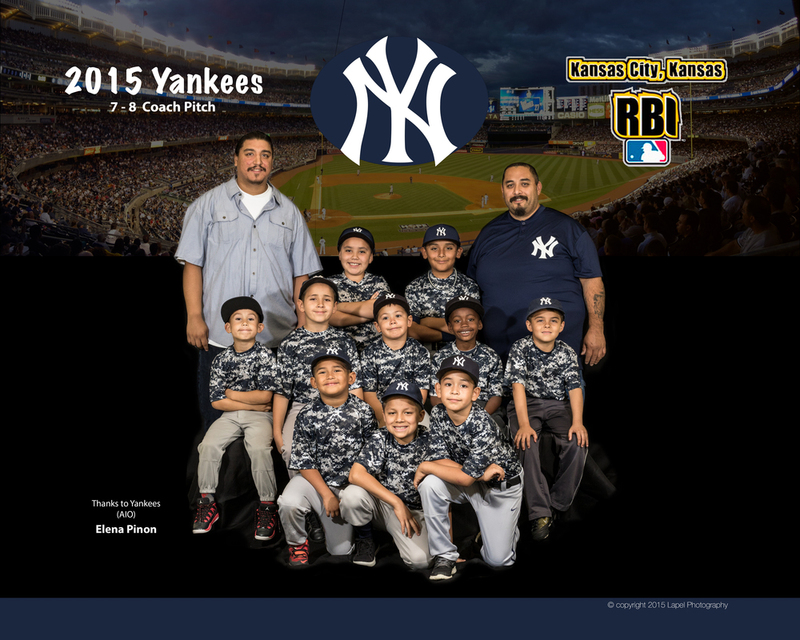 The Red Sox (above) were one of nearly 60 teams photographed in the 2015 season @ KCK RBI. We are no longer contracted with Kansas RBI, as we decided to focus on a variety of other projects. We would love to photograph your team or group. We will shoot all sports, and we can accommodate large groups. See our pricing page for a more clear explanation of group photo prices. If you are looking for Album Cover, Publication photography, or other more specialized services, please see our pricing for portraits and contact us. Portraiture pricing will be more in line for what to expect for a more artistic take on photos.